Pen-pushers, word-smiths and scribes exhibited their finesse and mastery of language and organization of complex philosophical ideas into beautiful, fluid prose as they battled it out in the Philosophical Essay-Writing Contest on the third day of the weeklong Jornadas de Filosofia last April 3, 2019. Every Fraternidad was represented by two seminarians, one for Filipino and for English categories, who furnished essays that discussed the relevance of philosophy to culture, language and media. Grade 12 seminarian Br. Stephen Palicdon, who represented Fraternidad de Sto. Niño said that he wanted to exhort seminarians to fully embrace philosophy and be philosophers themselves in order for humanity to reassert its stance on morals, human life and values. For him, a world without faith is not a world worth living in. Br. Seiji Ishii of Fraternidad de Divina Misericordia, on another note, wanted to make philosophy more accessible and useful to the common man. 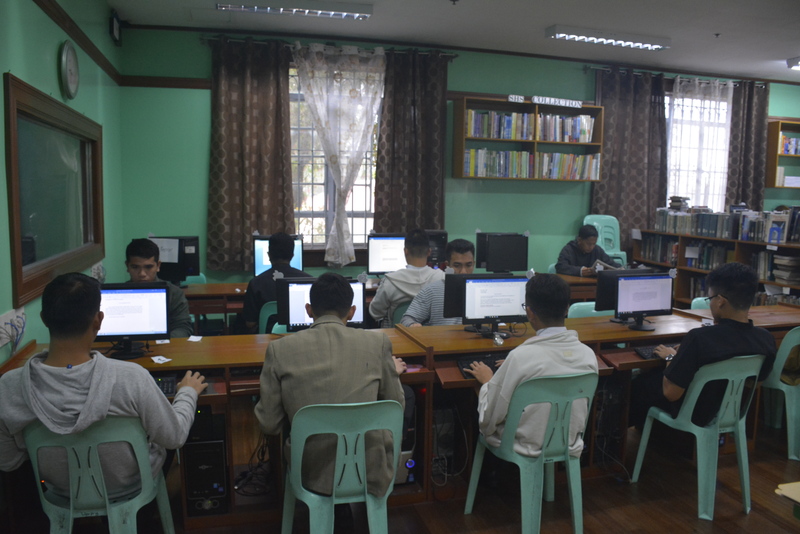 Indeed, the philosophical essay-writing contest trained the young seminarians to reflect how philosophy has made an impact on every aspect of human reality. Moreover, the contest gave them an avenue to articulate their thoughts, a necessary skill for someone who aspires to become a communicator of the Good News and the Truth — Jesus Christ the Lord. Photo Caption: Participants of the essay-writing contest during Jornadas de Filosofia 2019.